Product #46906 | SKU FTA08201 | 0.0 (no ratings yet) Thanks for your rating! 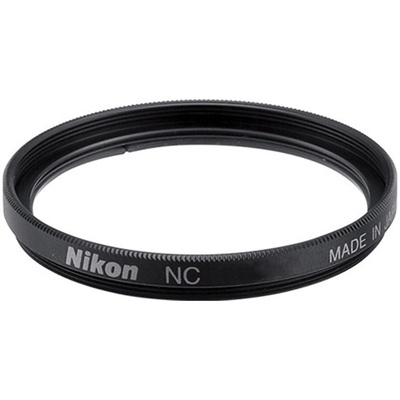 The NC 40.5mm Neutral Colour Filter from Nikon is a general protection filter that will guard against potential damage to the front element of your valuable lens. This filter has no affect on the colour of your image but will guard against scratches, dust, dirt and fingerprints from contaminating the fine optics incorporated into the lens. The value of such a filter has been well-documented. If you should accidentally break the filter, that's one thing but if you break the front element of your lens, you'll need a new lens. Some people refer to this kind of filter as relatively "cheap insurance".